This new edition differs from the preceding ones in that there has been extensive revision of most chapters. Recent advances in research gained by immunohistochemical, molecular biological, and cytogenetic methods are included, as far as they are applicable for daily diagnostic work. The chapter on neoplasms, in particular, has been greatly expanded in accordance with the new WHO International Histological Classification of genital tract tumors, covering all pertinent differential diagnostic aspects. 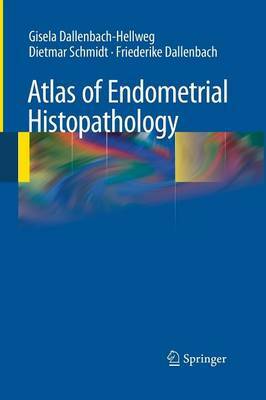 The chapter on malignant lymphomas and hematopoetic neoplasms involving the endometrium is a new contribution to this edition (F. D. , Ulm). We have revised the chapter on gestational diseases, incorpor- ing recent advances in the differential diagnosis of gestational trophoblastic tumors. New discoveries and experiences in correlating structure and function in infertility and in h- mone replacement therapy of peri- and postmenopausal patients are also included. Many new microphotographs have been added to illustrate the advances in tumor research and in immunohistochemical detection methods. We have updated the list of references including recent relevant publications. To the correspondents and consultants who have contributed valuable observations and suggestions, bringing thereby to our attention omissions in the second edition, we acknowledge our cordial thanks. We thank Dr. Wolfram Klapper, Director of the L- phom Register of the University of Kiel, for case material for making the micropho- graphic illustrations of lymphomas. The staff of Springer-Verlag has earned our gratitude for their skill in preparing this new edition.